We put our name in the ballot on Saturday for Monday and missed out so tried again on Sunday for Tuesday’s ballot. 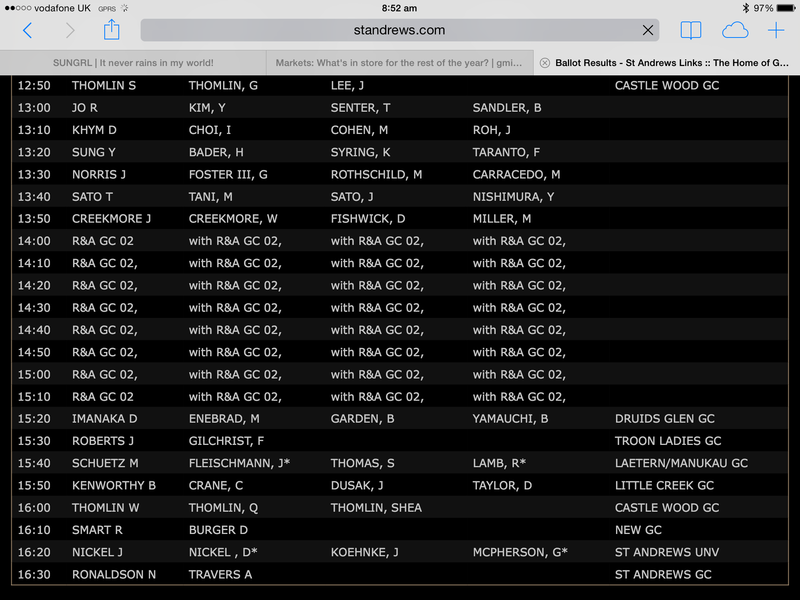 We checked the ballot online on Monday morning and wahoo we had been drawn out for Tuesday at 3.40pm. Luckily it stays light over here until 9.30pm so plenty of time to finish our 18 holes. Monday had been a pretty wet day so we were hoping for good things on Tuesday. It was slightly better in that the rain wasn’t quite as persistent but the wind was still there. 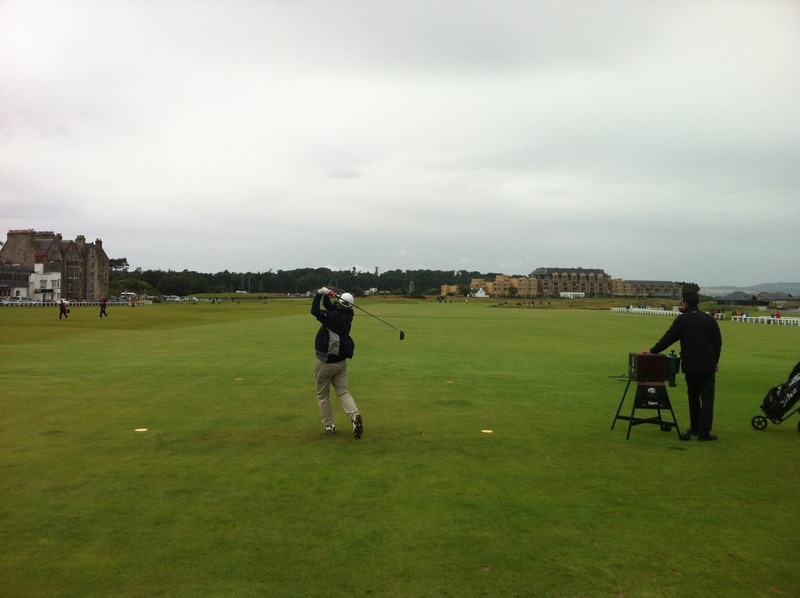 We went for a drive down to Crail in the morning and hit balls at a range. It was blowing like crazy so that was interesting – I couldn’t keep my hat on and the golf balls were being carried quite a way with the wind. We had some lunch in town and then headed to the course – the anticipation levels were high. 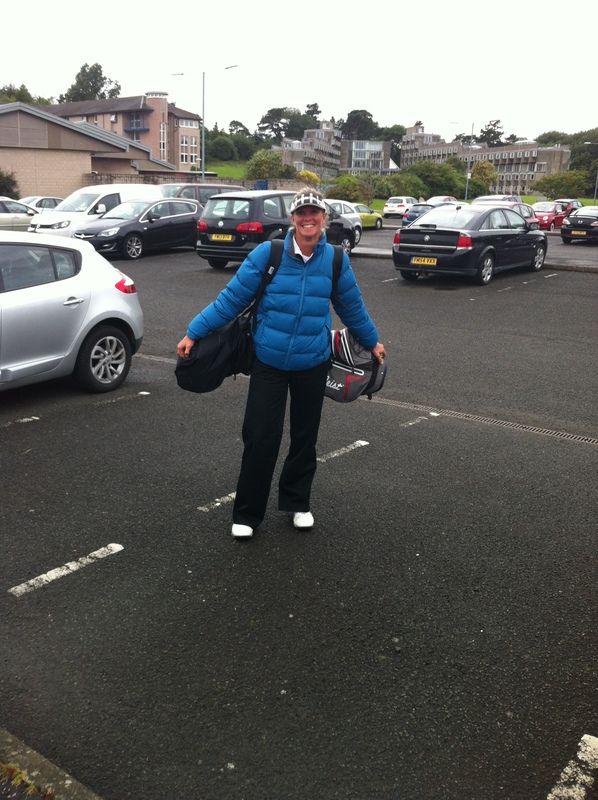 We usually play golf in the mornings so teeing off at 3.40pm was a bit strange for us. We were paired with a couple from Zurich in Switzerland – Martin & Jacquelyn. They were really nice and Martin was a bit of a character. Jacquelyn didn’t speak a lot of english and couldn’t understand a word the Scottish starters and marshals said – mind you we had to listen carefully too! The rain decided to grace us with it’s presence. Scotland the Brave was taking on the SUNGRL and winning again!! I had trousers on – this is nearly unheard of – along with a thermal and my puffer jacket. 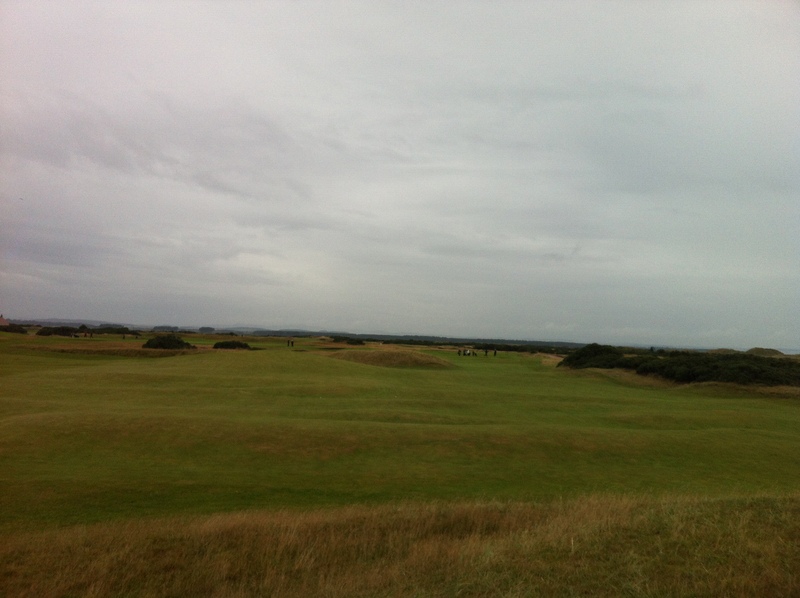 After a few holes you got used to the rain and wind – it made for interesting golf. It was quite exhilarating out there. The course marshals were really helpful and friendly giving us tips on where to and where not to hit the ball. This was quite often in vain as I am sure my ball had a mind of it’s own. 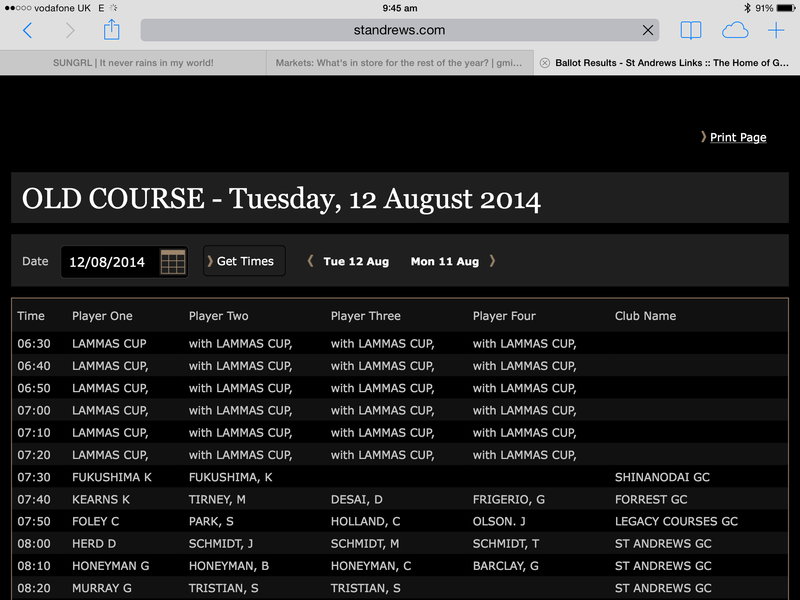 In saying that I had four pars and actually played quite well. Stevie was playing nice golf but the tricky greens and holes were making pars prove elusive. He finally got a par on the 11th and the flood gates opened – he parred the 12th, 13th, 17th and 18th. The highlight was his par on the infamous road hole. 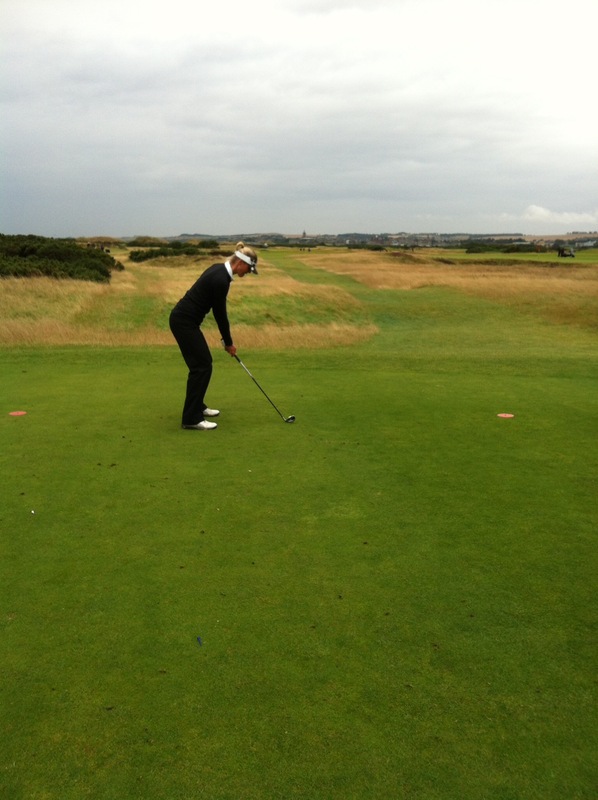 He had an audience – they told him to take on the corner which he did and it landed nicely on the fairway. He then hit his driver off the deck to get it within 6 feet of the hole. 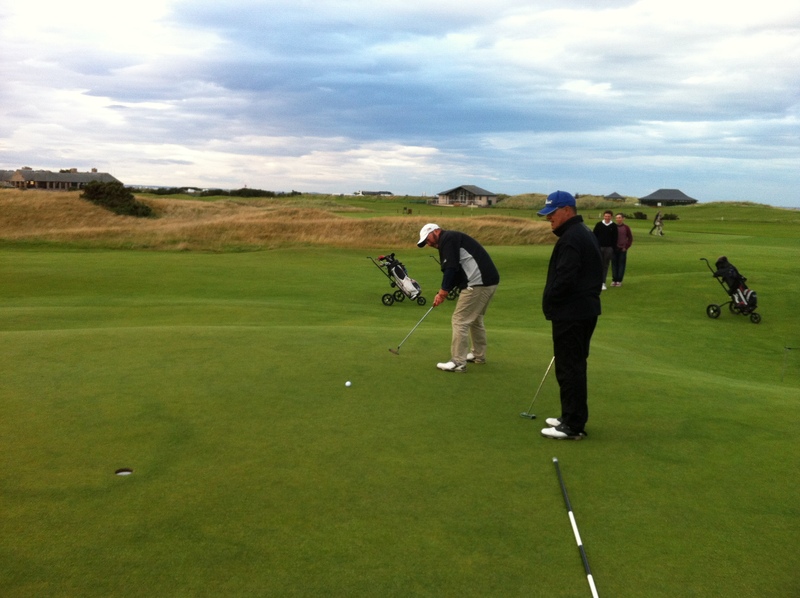 This impressed his new friends that he had made on the hole – a couple of teenage lads that played off 3 and 4. They were like “wow, did you just hit your driver off the fairway?”, “are you here warming up for the open next year?” They walked up to the green with us to see if he could make a birdie but no he had to settle with a par. Meanwhile back on planet Earth I had also taken on the corner but unfortunately my ball was nowhere to be seen – I did have a look in the hotel garden and pond but couldn’t see it. I hadn’t heard any glass breaking so figured it was just hiding in the shrubbery! 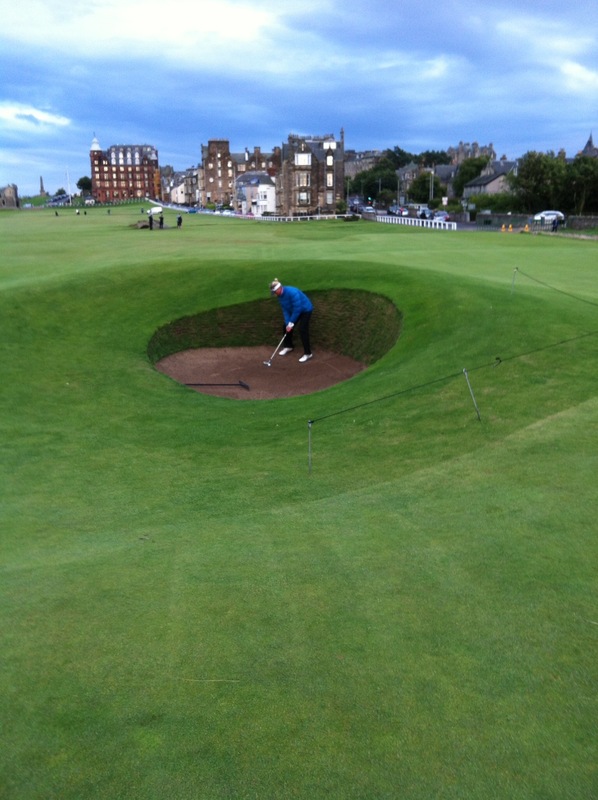 I dropped another ball on the fairway and proceeded to go in the infamous road hole bunker. I got out in one which also impressed Steve’s new friends. 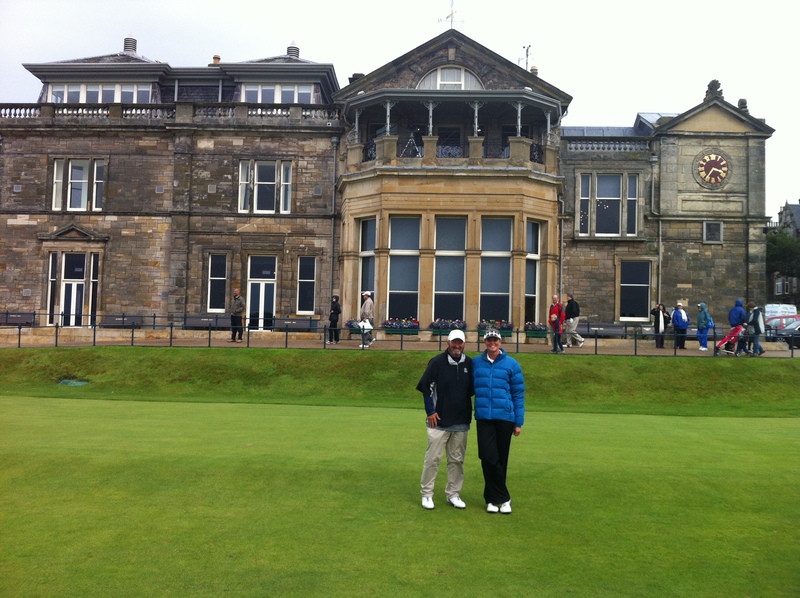 Steve, Jacquelyn and I all had great drives on the 18th – I am unsure what happened to Martin’s as he hit a provisional. Steve’s new friends were still with us and proved useful as photographers on the Swilcan Bridge. They were nice lads and were in town playing in a tournament – they wished us well and went on their way. The Old Course at St Andrews is one of the oldest golf courses in the world a public course over common land in St Andrews, Fife, Scotland. 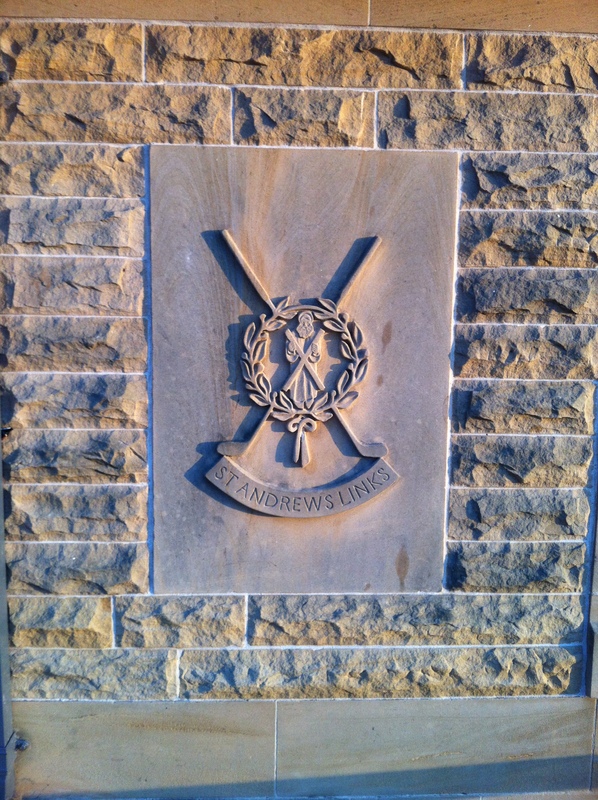 It is held in trust by The St Andrews Links Trust under an act of Parliament. 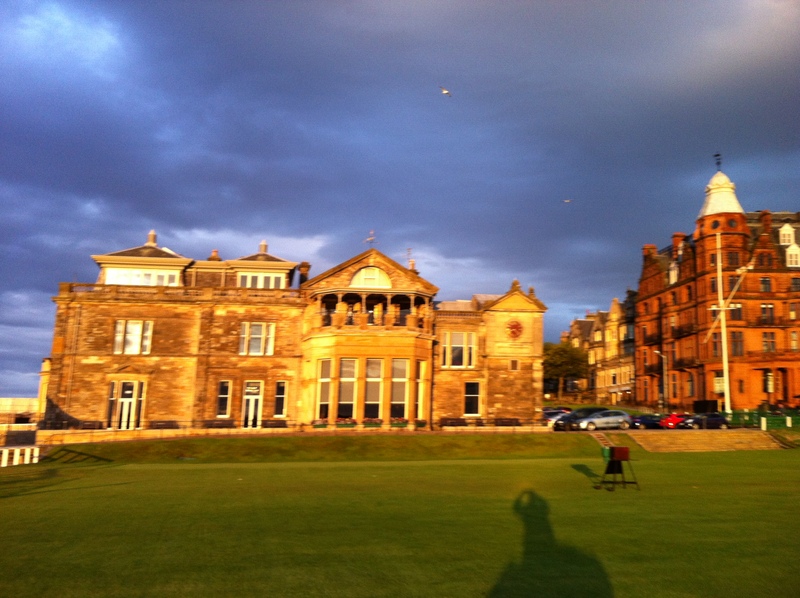 The Royal and Ancient Golf Club of St Andrews club house sits adjacent to the first tee, although it is but one of many clubs that have playing privileges on the course, along with the general public. 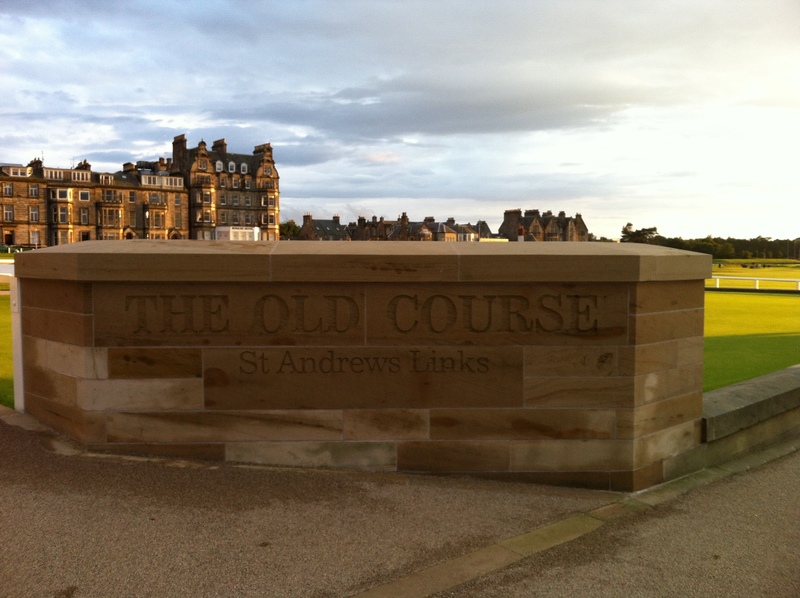 The Old Course at St Andrews is considered by many to be the “home of golf” because the sport was first played on the Links at St Andrews in the early 1400s. Golf was becoming increasingly popular in Scotland until in 1457, when James II of Scotland banned golf because he felt that young men were playing too much golf instead of practicing their archery. The ban was upheld by the following kings of Scotland until 1502, when King James IV became a golfer himself and removed the ban. 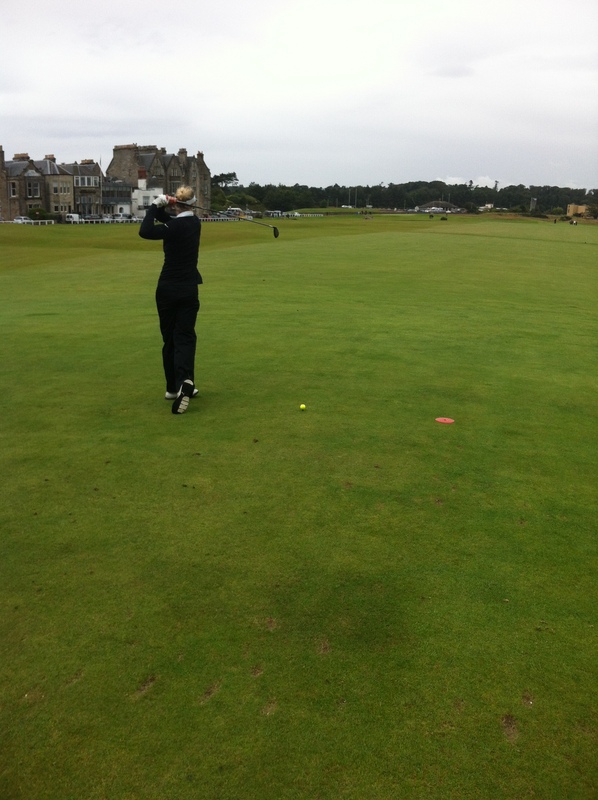 The Old Course was pivotal to the development of how the game is played today. 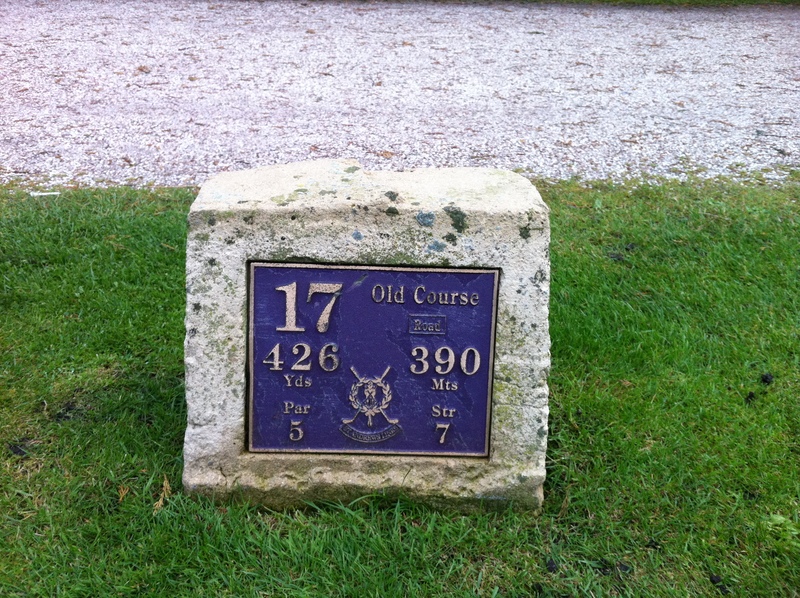 For instance, in 1764, the course had 22 holes. The members would play the same hole going out and in with the exception of the 11th and 22nd holes. The members decided that the first four and last four holes on the course were too short and should be combined into four total holes (two in and two out). 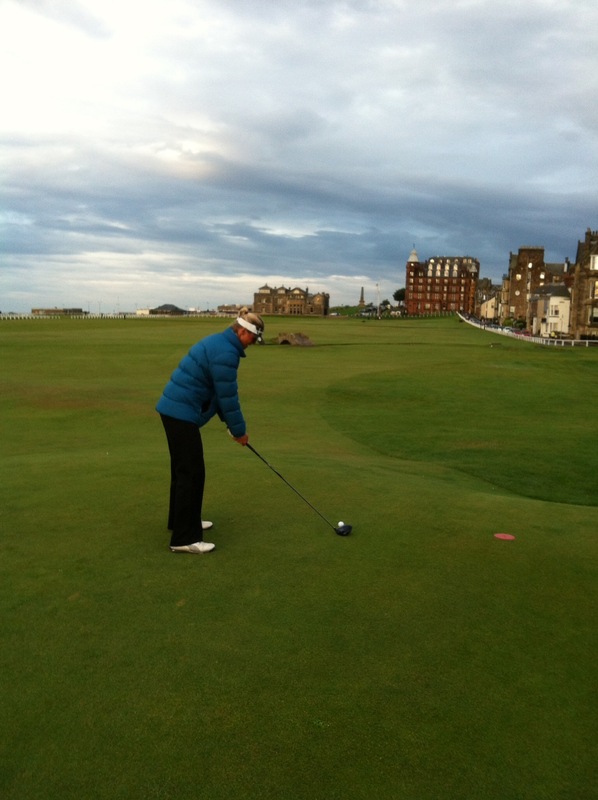 St Andrews then had 18 holes and that was how the standard of 18 holes was created. Around 1863, Old Tom Morris had the 1st green separated from the 17th green, producing the current 18-hole layout with seven double greens. The Old Course is home of The Open Championship, the oldest of golf’s major championships. The Old Course has hosted this major 28 times since 1873, most recently in 2010. The 28 Open Championships that the Old Course has hosted is more than any other course, and The Open is currently played there every five years. 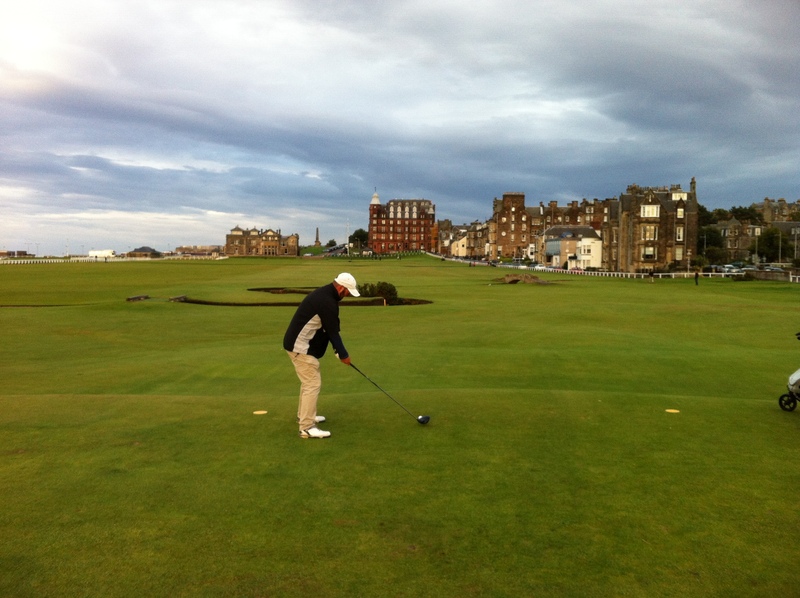 The Open will be held on the Old Course again in 2015. There’s an interesting relationship between St Andrews and one of the most famous golfers of all time, founder of Augusta National Bobby Jones. The first time Jones played St Andrews, in the 1921 Open Championship, he infamously hit his ball into a bunker on the 11th hole during the third round. After he took four swings at the ball and still could not get out, he walked off the course. 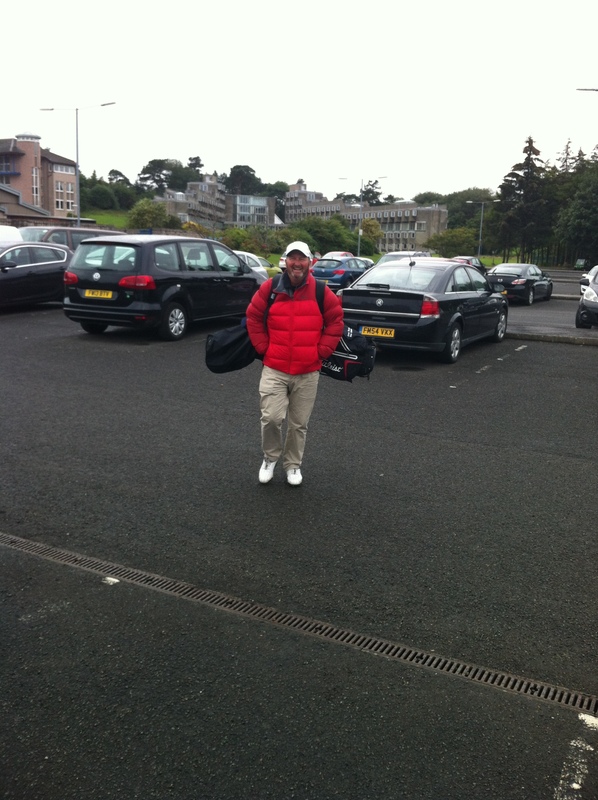 Six years later when the Open Championship returned to St Andrews, Jones also returned. Not only did he win, but he also became the first amateur to win back-to-back Open Championships. He won wire-to-wire, shooting a 285, which was the lowest score at either a U.S. Open or Open Championship at the time. He ended up winning the tournament by a decisive six strokes. In 1930, Jones returned to St Andrews seeking to win the British Amateur. He did win by a score of 7 and 6 over Roger Wethered, and proceeded to win all other three majors, making him the only man in the history of the sport to win the Grand Slam. For the rest of his life, Jones would go on to fall in love with the Old Course. Later in his life, he was quoted saying “If I had to select one course upon which to play the match of my life, I should have selected the Old Course.” In 1958 the town of St Andrews gave Jones the key to the city, becoming only the second American to receive the honor after Benjamin Franklin in 1759. After he received the key, he was quoted saying “I could take out of my life everything but my experiences here in St Andrews and I would still have had a rich and full life,” which is a testament to the pedigree of the Old Course. One of the unique features of the Old Course are the large double greens. Seven greens are shared by two holes each, with hole numbers adding up to 18 (2nd paired with 16th, 3rd with 15th, all the way up to 8th and 10th). 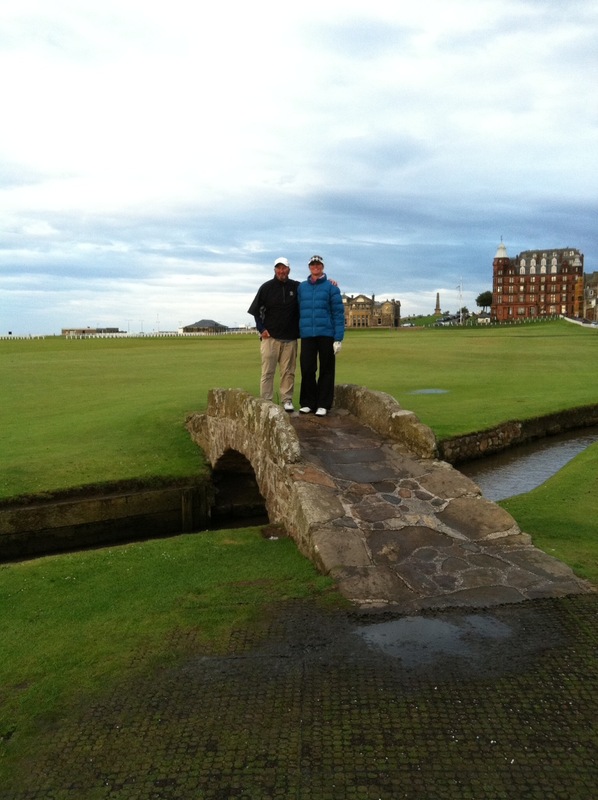 The Swilcan Bridge, spanning the first and 18th holes, has become a famous icon for golf in the world. 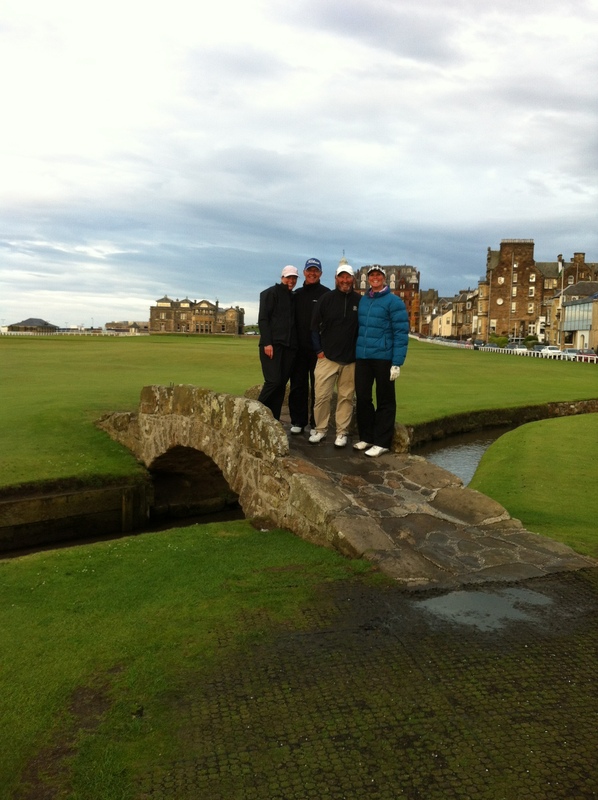 Everyone who plays the 18th hole walks over this 700 year old bridge, and many iconic pictures of the farewells of the most iconic golfers in history have been taken on this bridge. A life-size stone replica of the Bridge is situated at the World Golf Hall of Fame museum in St. Augustine, Florida. Only the 1st, 9th, 17th and 18th holes have their own greens. Another unique feature is that the course can be played in either direction, clockwise or anti-clockwise. Along with that, the Old Course has 112 bunkers which are all individually named and have their own unique story and history behind them. The two most famous are the 10 ft deep “Hell Bunker” on the 14th hole, and the “Road Hole Bunker” on the 17th hole. 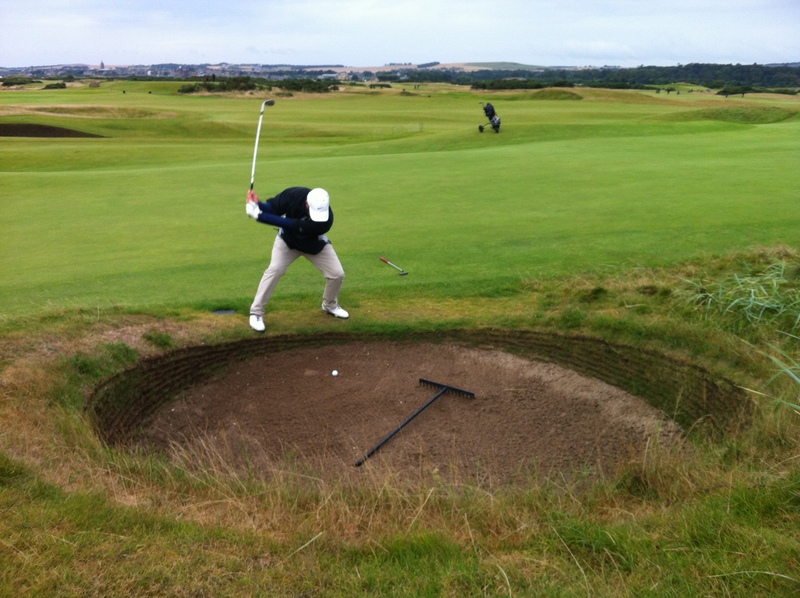 Countless professional golfers have seen their dreams of winning the Open Championship squandered by hitting their balls in those bunkers. 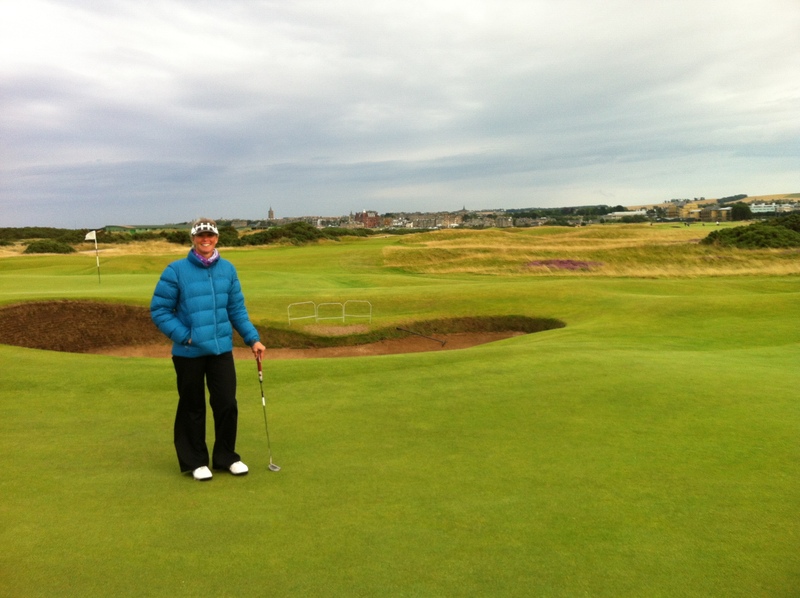 The final day of The Open Championship and Women’s British Open when it is held at the Old Course; this happens roughly once every five years for the men; the women’s championship began its turn on the rotation in 2007.